A new EquiTrend Study from The Harris Poll is grabbing the attention of restaurant chains like Starbucks, Five Guys, and The Cheesecake Factory, which were among the highest rated among consumers. Turns out the differences between Millennials, Generation Xers, and Baby Boomers also includes preferences in dining destinations. Of the 4,000 brands studied in the poll, 90 restaurant chains were ranked among different age groups and sectors like casual dining, coffee concepts, and chicken chains, to name a few. One prominent takeaway from the restaurant chain study is that Millennial customers gave higher ratings to restaurants across the board than Baby Boomers or Gen Xers rated the same restaurants. This makes sense considering Millennial households are spending more money eating out than other generations. The Food Institute reported that 43% of every dollar that Millennials spend on food is spent outside their home,” as compared to Boomers who spend between 37% and 38% of their food budget that way.” Furthermore, as MarketWatch reports, Millennials are less likely to know how to cook and tend to snack out more than Boomers do, which could account for them frequenting Starbucks. These frequent diners, born between 1977 and mid-1990s, number more than 80 million. They are children of Baby Boomers, the largest and most influential generation since the Boomers, and the most ethnically and racially diverse group in U.S. history. So, what’s making the difference for Millennials in restaurant rankings? While The Harris Poll does not speak to the why of the results, the top ranking restaurants are well known for accommodating customers with technological conveniences, connectivity in social media, and remarkable customer experiences. Millennials are digitally engaged shoppers who look for convenience in using their smartphones and apps for menus, ordering, promotions and discounts, and loyalty rewards. Marissa Tarleton, CMO of RetailMeNot, commented on Millennial customers in a Fast Casual article. "When choosing a restaurant, customers are faced with many choices, and a promotion or discount can help diners decide where to eat . . . We know customers are using their mobile devices to search, review, and rate their experience while dining out." The National Restaurant Association comments that because Millennials are the most active members on Facebook and other social media, restaurant owners that leverage this connectivity can open portals that lead to return business through word-of-mouth recommendations and brand loyalty. 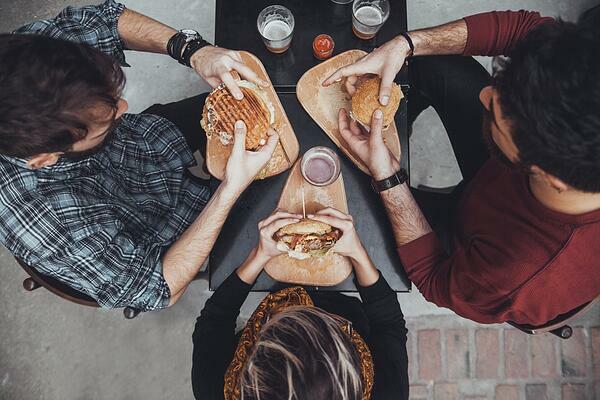 Top ranked restaurants in The Harris Poll including Chipotle, Subway, and Chick-Fil-A represent a group of restaurant chains that consistently connect well with customers.